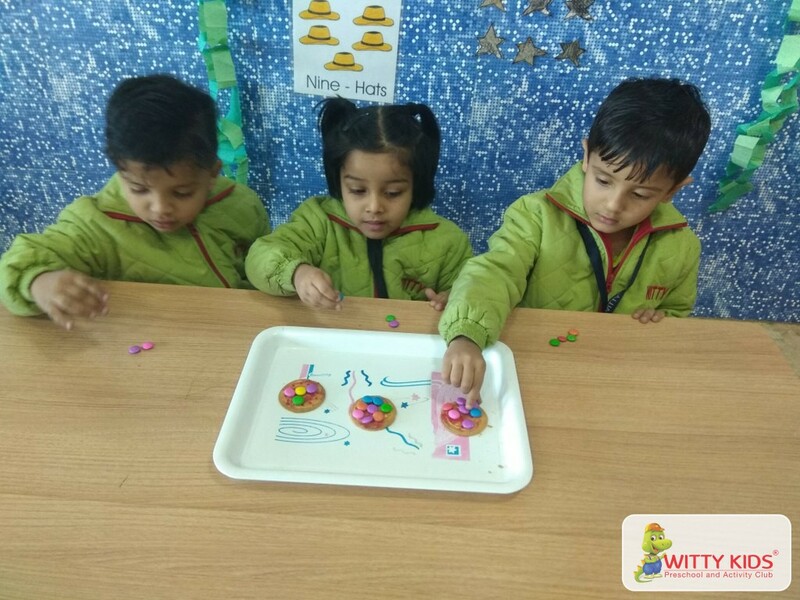 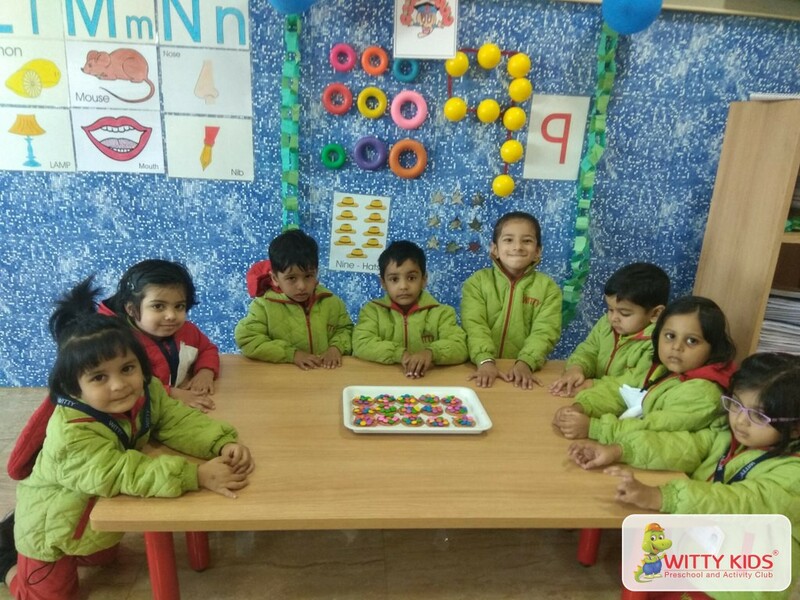 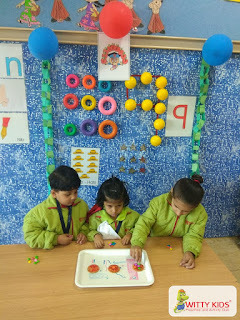 The little Wittians of Nursery class at Witty International School, Udaipur were introduced to number 9 with the help of flash card, object card and number buddy. They enjoyed making cookies by placing nine gems on Marie biscuits. 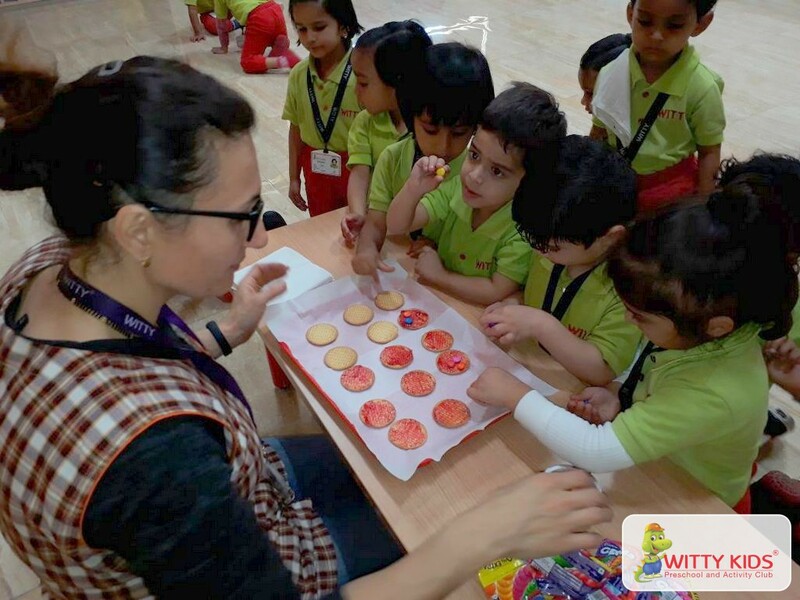 They also enjoyed the yummy taste of the cookies. 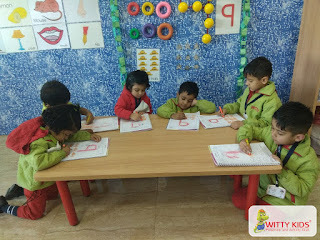 With this little toddlers understood the concept of number 9. A loop and a line make a number 9.